internationalheadteacher | Thoughts of a Headteacher Working in New, Start up International Schools. ~ Thoughts of a Headteacher Working in New, Start up International Schools. At the beginning of the new academic year, it is often the Principal’s task to manage change, whether it be new staff, new timetables or new policies. It is also the period where I, after a holiday, can spend a few weeks before school and think about changes for the next academic year, reflect upon the year past and begin to formulate ideas for how we can improve. One of the key questions I always ask myself, is how can we be innovative in adapting ‘traditional’ school approaches to meet the needs of today’s children? I’m not one to always want to shoehorn children into a system just for the sake of it, just because it’s what has always been done, but I’d rather think that the nature of schools can be optimised to suit the needs of the children, and to create the best possible environment for them to achieve. This article is one of many that discusses the nature of the school day and the impact that it has upon children, particularly teenagers. To summarise, their body clocks work differently. They go to bed later and rise later. Early school mornings are therefore creating sleep deprivation. 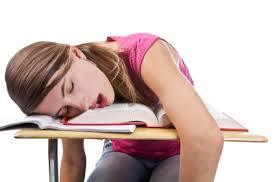 Sleep deprivation affects mood and lowers academic attainment. The response? Open school later for teens. The research is clear, it has a definite affect in improving student performance (Examining the Impact of Later High School Start Times on the Health and Academic Performance of High School Students: A Multi-Site Study, 2014 – amongst others) and creates a better learning environment. Resistance factors, however, can often be external – and includes concerns such as parental drop off, staff having to work later and school sports. Not to say that these are not legitimate concerns, but the issues should at least be explored if we feel it will benefit the children, whether or not it might be more inconvenient. Another point of concern for me, or at least a concept that interests me, is the nature of the school calendar and school holidays. I have often had an issue with very long summer holidays (and that’s not just as a parent!) The children get bored, the parents struggle and there is definite proof in research that learning is lost! So why do we have such long holidays in the Summer? Well, it’s traditional, and arose during the expansion of state schooling and the need for children to disappear and help parents in a majority rural population. The need for it does not exist anymore, so why retain it? Again that management of change will encounter resistance. It’s not something I’m taking lightly and a change that we can just roll out, and it would need to be seriously discussed, but that conversation should take place, at least. The benefits as I see them? So, something to consider. How about the below as a starter for discussion? Rob Coe, and others, particularly question Hattie’s use of statistics, and claim that his work has not been subjected to enough critique by the research community. I tend to agree, but personally believe that many of Hattie’s observations are simply what teachers already knew, and that his work outlines what excellent teachers focus on doing. 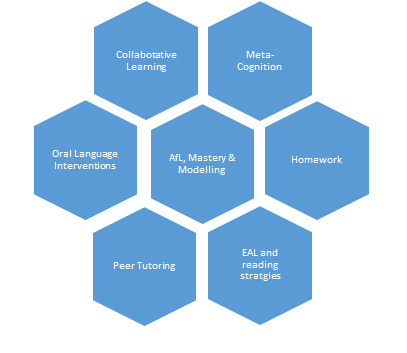 These observations are used by the EEF to construct a one-stop toolkit. One of the stand out pages is the following, which examines the positive impact that some strategies have upon student progress. I think such a cycle would really enrich teacher development and promote improved student outcomes, but the problem that we face here, as a mixed-culture staff team, is that the constant cycle of recruitment means that teachers all enter the school at different professional starting points. Essentially, they all have different experiences and abilities, strengths and weaknesses. A one stop CPD strategy will be beyond some, but old hat for others. So how can we manage this multi-paced requirement? Well, using evidence such as the EFF above and our own experience we could create a ‘core’ of CPD which we expect as a baseline for all existing and incoming staff. For us at the school, this means Afl, Mastery planning and modelling. Once a certain level of competency has been achieved, through CPD learning communities, lesson study and appraisal, staff could move on to the additional units, which are chosen voluntarily. Initially, these units of study are exploratory but over time, and with increased excellence, long standing members of staff (particularly those local teachers who tend to remain in post for longer) can themselves becoming mentors to new staff (this would be the ideal in promoting increased self-efficacy in local staff). I outline below a diagram that begins to reflect my thoughts…. These units are, of course, completely interchangeable and will need adapting in time, perhaps moving onto other units that are under the +5 threshold in Hattie and the EEF toolkit. It will also need to distribute leadership and create a number of leading staff who can drive research and learning forwards, whilst also acting as mentors for other teachers. These should not just be foreign staff either, but local teachers who will remain in situ for many, many years, and who shall carry the philosophies of the school forwards after our more mobile overseas staff have long gone. The above will, of course, require a lot of thought, fleshing out and planning. I’m lucky here to have some very good staff who will find this interesting. The trick will be, trying to get staff to lead this on their own, buy into it, and take ownership. My thoughts upon entrepreneurial headship in Asian international schools has finally been completed. 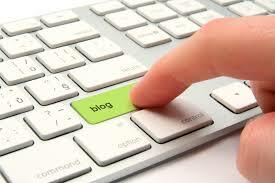 Much of the content has helped frame the blogs of recent months. It’s good to finally get this done and out of the way. This will not be the end of my research, however, as I’m keen to continue and delve into an area with little to no focus in academia. I’m particularly interested in the work of Hofstede and his cultural dimensions. More to come! I have n’t had much time to write a blog for a while. Overtaken somewhat by work and family, and it’s an exceptionally busy time. I’ve slowed down to about once a month. I must improve! One of the reasons why I’ve had so little time is because the Spring Term is taken up with the vital task of retention and recruitment. For those of us in new schools, this is vital, vital, vital. This was supported by many of the interviews I conducted recently and was blogged about last month. I’ve managed to secure some great staff, and I’m looking forward to next year already. It will be a challenge to move things on. We’ve settled in and the time has come to really push on. The ethos has been set, routines secured, a vision of excellence established. Now it’s time to get there. But how to get there? Leadership is vital, so I’ve decided to this week to focus my thinking upon the styles of leadership that a headteacher can adopt. One of my own self reflections last year was the realisation that to be a good leader, I must understand my staff, students and parents more. I must understand where they’re coming from, their experiences, their strengths, weaknesses and concerns. In this way I must adapt my leadership, and accept that it cannot be a ‘one size, fits all’ policy. I must attempt to secure everyone within a common vision of the school and have them all believing in it. Easier said than done! One of these reasons is that considering our mixed culture narrative at my current school, concepts of leadership are not always shared. So, in order to develop context for my thoughts, it would seem pertinent to begin with an exploration of the work of a headteacher, based upon literature gleaned from a traditional ‘Western’ perspective. In this manner one can then compare with headship in new, Asian ‘local’ international schools. Initially, it should be noted that the educational leadership is complex, combining a focus upon both transformational and transactional styles (Zeleznik in Blandford and Shaw, 2001). It is particularly complicated if one also considers other tasks, which can include buildings management, finance, local authority collaboration, personal issues and planning (Goldring et al, 2008). It therefore becomes apparent that being a headteacher requires many skills. Day (2005:287) states that in managing these competing tensions, headteachers must remain “vision orientated and people centred” and this visionary concept is one that occurs regularly throughout research (Crum and Sherman, 2008, Chapman and Harris, 2010 and Gurr et al, 2006). 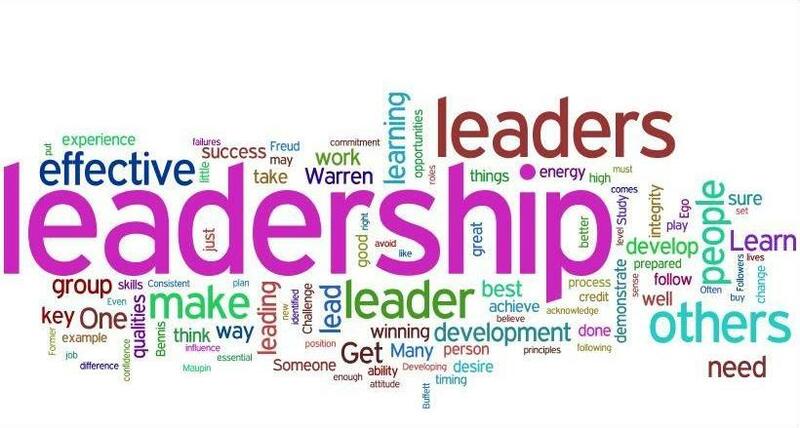 Facilitative leadership, evident through the ability to empower teams, delegate and develop personnel, very much shares themes with Distributed Leadership. This style of leadership has been described by Lakomski as encouraging collaboration and cohesion between staff members with different experiences (King-fai Hui and Cheung, 2006). The concept of distributed leadership is also one that is popular within research. 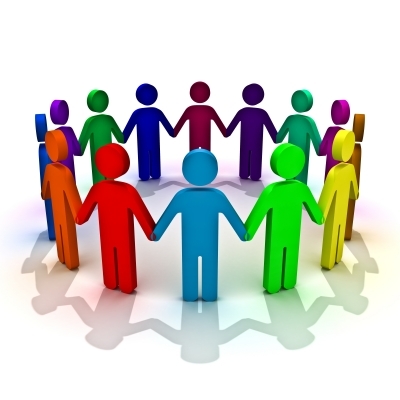 It has been linked with more “beneficial organisational outcomes” (Leithwood et al, 2008:35) which take advantage of the knowledge, skills and abilities present within groups (Ensley et al, 2006). As schools are essentially staffed with those who are professionally qualified, it seeks to empower and create a sense of collegiality that increases motivation and as such, has almost become “enshrined in the folklore of management” (Bush, 1995:52). It can be argued however, that collaboration has to be carefully considered, and is not possible without concise planning of goals, with clear roles assigned. This process of change, therefore, requires strategic leadership. To act strategically has been defined by Sarros and Sarros (2011:239) as creating “meaning and purpose for the organisation” and thinking through the steps needed to achieve this. It is interesting to note, how this sense of establishing vision also links to transformational leadership. This is a fact not lost on Sarros and Sarros who have espoused ‘transformational strategic’ leadership. This has a “powerful capacity to induce change” and can lead to “increased confidence and purpose in staff, students, the Board and the wider school community” (2011:256). Crum and Sherman’s findings (2008) also outline that facilitating instruction is a major role of the headteacher. This can be clearly referred to as instructional leadership, which has been described by Leithwood et al, (2008:32) as “the strongest contribution to altered classroom practices.” It develops staff confidence in their ability to implement strategy, and requires a headteacher to demonstrate effective practices and a supportive attitude to enable staff improvement. Lastly from Crum and Sherman (2008), is the concept of ultimate accountability, which can be linked to elements of transactional leadership, as it focusses upon concepts of hierarchy. Transactional leadership can be seen as a means to use bargaining to achieve progress. This type of positional leadership is quite common according to Bush (1995), who describes it as the main leadership style experienced by teachers in their daily working lives. Bush (1995) further elaborates upon the use of transactions and relates them to micropolitical strategy. This means that the headteacher can wield power, and therefore influence, in a number of ways. This includes positional power, the authority of expertise, personal power, control of rewards, coercive power and control of resources. Although it may not be fashionable to promote such strategies, (particularly when research promotes a more holistic, distributed leadership), it is perhaps the most immediate and effective style for busy leaders to use. It bears resemblance with the use of formal position and vertical leadership. This form of leadership has been described by Bush (1995) as an emphasis upon systems, structures and clear roles. It can be criticised for being too ‘top down,’ but considering its potential use in new school contexts, it would be suitable for placement within a leadership framework. For me, I like the concept of transformational, strategic leadership. Having been able to recruit and retain a strong senior and middle leadership team for next year, I believe that the time has come to begin to distribute leadership more. Having established the school, we now need to focus upon the next stage. The time for increased stategy has come. It’s now my job to transform our staff into leaders who can achieve it. Same, Same, But Different (2). For my own studies, I have spent much time over the last few weeks, reflecting upon how leadership in new international schools is different. This led me towards putting together the diagram on this page, which takes into account my thoughts and the information I have accrued through my research. The figure seeks to acknowledge that leadership can change over time, from being transformational, to vertical and ultimately, to distributed. This reflects the need for the leader to get things done immediately, to get the school running and to allow trust to be developed before distributing leadership. This takes a huge amount of effort and commitment to the task. The leader must rely greatly upon communication in order to rally stakeholders to the task and previous experience of the role can provide a solid foundation. At all times, no matter what the stage, the leader should constantly reaffirm and develop the ethos of the school and plan strategically for the future. Some of the key tasks during start-up are related to the need to get the school open and relate to policies, marketing, a coherent curriculum and resources (both academic and facilities). At some point, it may be assumed that the distribution of leadership and the momentum of the community allows the leader to change strategic focus. As the school is now running and has been established, the headteacher can begin to concentrate upon improving standards. This may include a thorough review of the school and improvement of delivery, whether it relates directly to teaching or the resources required for it. Often, the ambition of accreditation with an international school body provides a framework for this, and can be a key watershed moment for the founding headteacher. However, a leader must recognise that there will often be moments of crisis associated with their role due to reasons such as cultural dissonance, governance and the management of change. In order to overcome these challenges, it is vital that the headteacher demonstrates resilience and flexibility, as well as cultural and political leadership. For Boards, this means that they must think deeply upon the type of person that they recruit. Preferably, they should have experience of the context, as they shall be placed under unusual and intense pressures. They also need to be strong in vision and be transformative leaders that can foster belief within the community. It is important that Boards also be clear from the outset about the governance structure they employ. Both headteachers and those for whom they work for should know their role, the limits of it and hold a shared vision for the school. It may be suggested that the Chair of Governors has experience of education in order to ease this dynamic. The demands of the position also mean that particular types of personalities are suited to the role. It’s not for everyone! Perhaps the most key traits in my opinion, are resilience, problem solving skills and communication. More on that later! Same, Same – but different. Strategy in Start Up Schools. Well, I’m back to school after the holidays, and we are already back into the swing of things, with lots lined up for the coming term. For me, it’s always busy in the Spring, as we look forward and start planning for next year, which includes timetabling, recruitment and resources, amongst other things. It always seems tremendously busy, and sometimes it can be so difficult to see the big picture when as a leader of a small school, you become involved in so much. Despite this, you have to prioritise, and I thought I would take time this week to share the results of a survey I have been conducting with an international school group as a part of my studies. It asked Headteachers about their strategic priorities and conducted a 1st,2nd, 3rd ranking, for which a points score was ascribed and totals averaged. The results for strategy and decision making are as below and as you may have noticed, it split respondents between those who work in founding roles and those who do not. • More priority given to curriculum and facilities for non-founding staff. The reasons for my initial beliefs were that founding staff have to concentrate a huge deal upon getting things started, and on instilling a belief in the school in order to build numbers and positive forward momentum. This would then have to couple with a strong sense of strategic planning, as you have to create a much more detailed road map of where the school is heading, as you are starting from scratch. You also need the right people, teaching in new schools can be intense and it’s not for everyone – leaders must seek the right type of people for the role. For non-founding leaders, I was anticipating that this would not be so intense, and that therefore they could concentrate more on the next stage, which involves tweaking systems and looking to improve – in areas such as curriculum and facilities. Personally, I think that recruitment is vital. Everything comes from that. If you get the right team in, strategy and curriculum, resources and facilities all flow from there. However, it’s like the chicken and the egg – good staff won’t come if you don’t have a clear and exciting vision, or the curriculum/plan/facilities etc that makes a project exciting and worth their while. It’s a difficult and complex task, and one which is very difficult in a small, founding school environment where it is not possible to distribute strategy and decision making over a large leadership team. And this is why the next few weeks is so vital here – identifying and recruiting the best people to thrive in this context, and moving the school to a much more larger distributed sense of leadership. 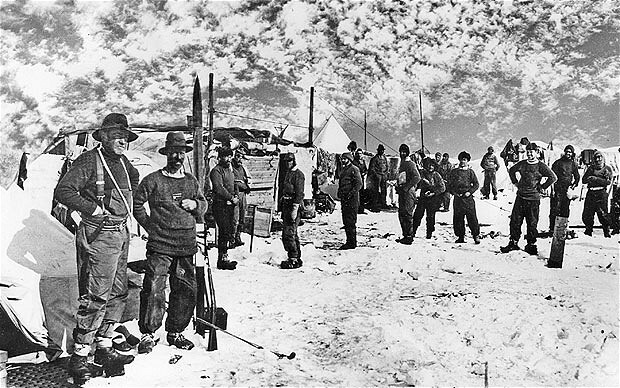 I’m not Shackleton and we’re not quite the South Pole, but hopefully you understand the message! As part of my continuing studies, I had the pleasure last week of visiting a number of schools throughout Malaysia in order to talk to Heads who have been working in the start-up sector. This is an area of specific interest to me and over the years, I have become convinced that it takes particular skills and a different mindset in order to not just survive, but thrive. Having experienced many new schools, I agree with Gatewood et al (1995:373), who assert that these businesses can be fraught with unseen and uncontrollable problems. As such, the responsibilities for a Headteacher may include team building, planning, preparing facilities, budgets, licences and recruitment (Carter et al, 1996:153-43), as well as marketing, developing structures and setting up operations. (Gatewood et al, 1995:376-42). Although these elements may seem no different than others, it is my experience that they are concentrated due to factors such as time, ownership pressure, varying levels of support and multiple roles. 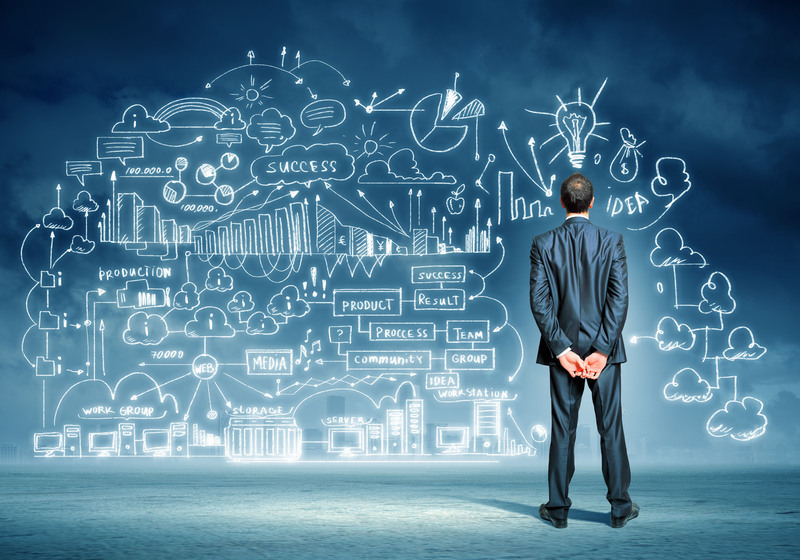 These pressures call for specific personality traits associated with the ‘entrepreneurial Headteacher.’ Through research, Rauch and Frese (2007:353 – 53), have identified the need for achievement, self-efficacy, innovativeness, stress tolerance, a need for autonomy and proactivity. This sense of autonomy appears in many articles, for example, Stuart and Abbeti (1990:152-37), who refer to it as locus of control. The importance of personality and the link to leadership effectiveness is strong. (Rauch and Frese, 2007:364 -53). Many researchers within the entrepreneurial field also agree, and link these characteristics to the initial success, including Gatewood et al, (1995:373). However, there are examples of contradictory research, and Stuart and Abbeti (1990:151-52) claim that personality is actually not a factor in success, but rather, that professional knowledge of the field and the experience of previous start-up ventures is most significant. Gartner et al (1998:219-40) agree, but point out the importance that experience is not related to the number of years in the job, but surround specific knowledge and skills needed for the venture. (This would be valuable for Boards to consider before appointment). Interestingly, Duchesneau and Gartner (1990:299-36), also support the need for distributive leadership and high levels of communication as being vital for start-ups, which may conflict with the locus of control traits identified. Stuart and Abbeti (1990:152-52) also state that strategic planning is vital for new venture success. Indeed, its importance within the international school context is also clear, due to the large number of innovations and multiple changes occurring at any given point. (Leggate and Thompson, 1997:268-32.) This is supported by Hodgson and Chuck (2004:42-69), who state that for emerging schools, strategic planning “can help you to understand the business you are in, guide your decision making and ultimately make the difference between growing and declining.” This would mean that the entrepreneurial Headteacher needs to show excellent strategic leadership, and ensure constant review during times of rapid change. In addition, new schools often begin with a very small community. This can often result in issues such as an absence of senior staff, part time admin, role conflict and a lack of professional interaction. (Ewington et al, 2008:545-46.) When considering that Headteachers may also have “fewer opportunities to delegate their work” (Tuck, 2009: 1-49), as well as juggling having to teach and demonstrate higher levels of involvement within instruction and curriculum, it is clear that new school Headteachers face further complexities. It is therefore understandable that some Headteachers may shy away from collaborative leadership, which often takes extra time, work and energy. (Fowler and Walberg, 2009:128,48.) The sheer workload may also create high turnover due to burnout and pressure from boards, who may not understand the range of demands being placed upon their Heads. This means that Headteachers must manage their time very effectively, and quickly develop powers of facilitative leadership in order to develop collaboration. But however it’s done, it’s tough work and there is no one set formula. Resilience is key, in my experience, along with flexibility, hard work and a highly developed sense of humour! As part of my further studies, I have been exploring the challenges inherent in managing multi-cultural teams in international schools, particularly in places where host country nationals make up a majority of the staff. What I have noticed, is that it takes an acknowledgement by leaders to adjust their expectations and styles of leadership, as well as for them to demonstrate considerable understanding of the cultural and subjective reality held by others. For staff who hail from different backgrounds, this can result in a noticeable split between staff that can be referred to as cultural dissonance. The potential for cultural dissonance often occurs in international schools where different sets of cultures have different expectations of each other. (Blandford and Shaw, 2001:157). These mixed culture dimensions have been outlined by Hofstede as a difference in the individual-collective dichotomy, power distance, levels of uncertainty, concepts of masculinity and femininity and Confucian dynamics. (Hofstede in Blandford and Shaw, 2001:161). Uncertainty particularly has the potential to exist in many local staff, who often question their comparative value, creating crises of confidence, dissonance and even anger. This can be caused due to a number of factors including financial, as local staff are often being paid considerably less than their overseas counterparts. This is a problem acknowledged by overseas staff, who often feel the resentment towards them, and complain about the emergence of attitudes and behaviours which affect school climate. (Blandford and Shaw, 2001:128). In my experience however, the blame may not be entirely one sided, as local parents can often be the most vocal in favouring overseas staff, as they often perceive them to be ‘better’. This concept has been described by Hayden (2006:77) as customer discrimination and has been supported by case studies demonstrating a lack of parental confidence in local staff (Richards in Hayden and Thompson, 2001:180). These attitudes place the Headteacher in a difficult leadership situation, as market pressures come into direct opposition to international education philosophies. It may be seen as a reasonable expectation that parents, having registered their children at an international school, are in agreement with the values and ethos of the school. However, this may not be the case, as local parents often choose international schools for more pragmatic reasons such as overseas accredited examinations, the English speaking environment, or prestige. This is often due to a traditional understanding of education, which is very academically orientated, and comes into conflict with some of the more holistic values of an international education, (Hallinger, 2010:65). This then requires Headteachers to “address, balance, reconcile and subtly attempt to realign the expectations of Asian parents.” (Hallinger and Walker, 2011:298.) These parental views on education, often also joined by a sense of what makes ‘good’ teaching, or how children should be behave, creates unique problems for the Headteacher who attempts to build a coherent vision. If they are to do so, and avoid prejudice and stereotypes, then leaders need to understand how and why local cultures hold their perceptions. Bajunid (1996:52), presents a starting point for understanding these feelings, explaining that if there are historical traditions of perceived excellence that resonate, why should new ‘foreign’ concepts replace local knowledge? 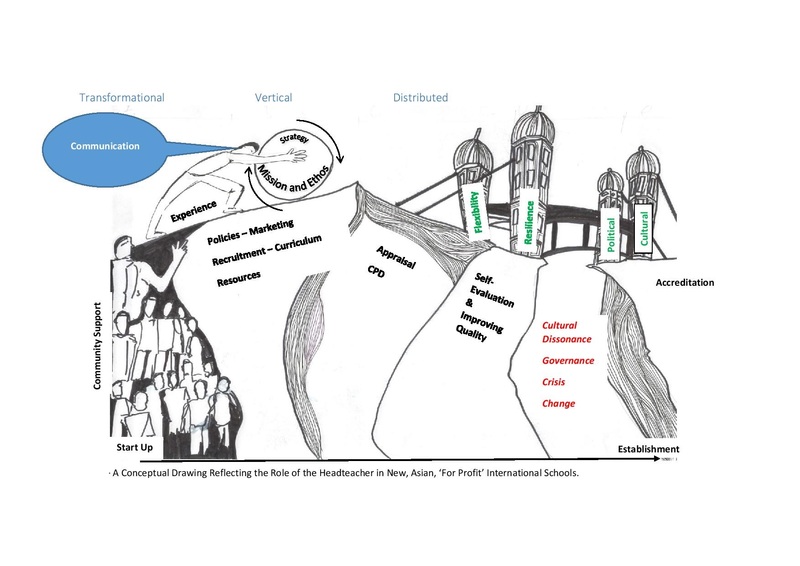 With this need for cultural understanding, it is therefore vital for a Headteacher to consider leadership in view of what Hofstede has outlined as the Confucian tradition, which is linked to the role of the individual and collective within society. Many Asian cultures tend to be highly collective in nature, due to Confucian ideals of social harmony and the role of hierarchy, which mean that in order to lead, the Headteacher needs to engage collective spirit, gain acceptance of the group through informal leaders and encourage change both within and outside the formal setting. (Hallinger and Kantamara, 2001.) However, the leader must also be aware that the highly hierarchical structure of Confucian societies can lead to an over reliance upon vertical leadership through authority and positional power, which is opposed to the more distributed leadership inherent in the West, where open questions are asked in order to encourage debate between leaders and followers. (Hallinger, 2010.) This lack of debate can lull the Headteacher into a false sense of security as decisions are accepted without challenge, without them realising that dissent has simply been driven underground, resulting in a difficulty to implement and institutionalise change. A Headteacher should therefore be aware of the need to spend much more time on individual and collective consensus building. This notion of hierarchy is very much affected by what Hofstede refers to as power distance. Asian societies may sometimes be seen as compliance cultures, where there has been a long held acceptance that there is always a correct, or incorrect answer, to questions. (Hallinger, 2010:65). This can often manifest itself into a reluctance to question the opinions of superiors, and result in situations where, “no matter how clear and explicit the call for teachers to share decision making powers with the Principal, they may just take no notice.” (King Fai-Hui and Cheung, 2007:181.) This is not necessarily limited to just teaching staff, but also includes parents who may be uncomfortable approaching the Principal, or students who have difficulty talking to teachers. Indeed, when a Headteacher works for a locally based Board, it may even result in Governors avoiding conflict situations, with sometimes dire consequences for the Headteacher. Such is the Asian sense of ‘Greng Jai’, (the word in Thai given to the need to preserve social harmony (Hallinger and Kantamara, 2001), that it often results in the need to save face, resulting in discussions which may not mean what they seem. This connects to what Hofstede describes as the forces of masculinity and femininity which can take place even at the expense of accountability and productivity. (Hallinger and Kantamara, 2001:397). Therefore, the Headteacher has to understand that many local staff will take time to warm to innovation, requiring a longer term view of the change process. They must also appreciate that cultural views only adapt slowly, and that they must avoid the wholesale implementation of Western leadership frameworks that “lack cultural validity” with many of the local community. (Hallinger and Kantamara, 2000, 190). Therefore, it begins to become apparent that leadership of a multi-cultural context, and in particular, in an Asian setting, requires a high level of sensitivity and understanding from the international school Headteacher. It has been a busy month for us here at the school, with a visit to an educational fair or two and the half term settling in reports. Its therefore been a difficult task to find the time to just sit down and reflect! This is often common in new schools, and the workload can often become a problem because of the multiple roles we play, and the pressure to get things set up – quickly. So this has actually made me think about the workload at schools and ways to work ‘smarter’, so that teachers (and admin) have the time to do their jobs properly, with high standards, and have a life outside of school! In this way we have happier teachers, and happier teachers make better teachers. 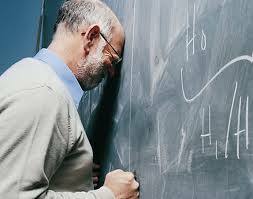 I do not necessarily buy into the adage that great teachers work every hour of the day. So why do some teachers always seem so stressed out and busy? I think much of it has to do with the sheer workload that can come with quality planning and assessment, so in a way, this blog post continues on from where I left off last week, following my musings upon what makes an outstanding lesson – and in essence, that you can be outstanding AND enjoy the benefits of living in Penang! Here, Tom is already thinking about what he wants the children to learn and where he can evidence it, providing opportunities for assessment. It is here, we think, that teachers can be smarter in the creation of tasks that are used for assessment, and in deciding when they provide feedback. At the core of successful teaching, in our opinion, lies assessment for learning (AfL) and dedicated improvement and reflection time. (DIRT). These concepts enable the children to know what they are learning, know how it will be assessed and know how they can improve. It is also vital that they also get the opportunity to improve their work before teachers move onto another concept and possibly leave children behind. Perhaps what we should be thinking here, is that assessment and DIRT can be occurring within the classroom itself? For many of us, feedback is far more valuable when completed face to face, and not just in written form. 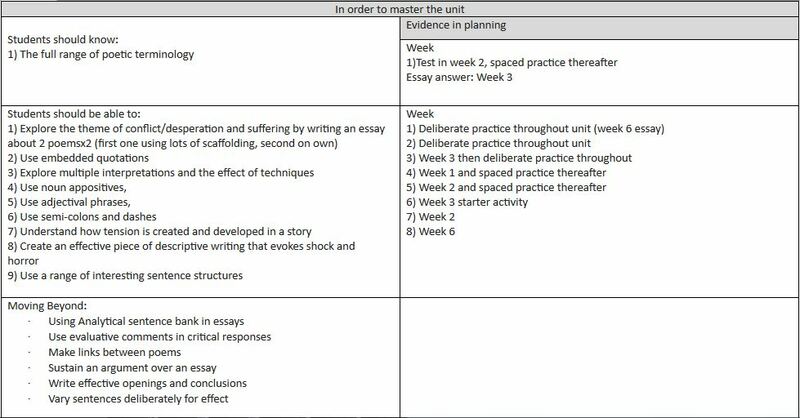 Teachers at SIS are now beginning to plan lessons which revolve around the assessment of the mastery model, giving discrete feedback immediately that also has children self and peer assessing. Class time may therefore be used more effectively in completing work and providing feedback there and then, and using homework to give children DIRT tasks. 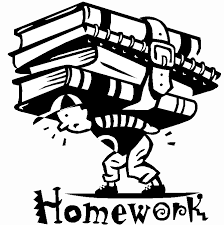 For homework – the teacher asked children to revise for a 15 minute quiz covering content from the last few weeks. The next lesson was to quiz the children, using the time to take a look over the writing tasks (as above) and double check if the core content was there. (It has previously been subject to AfL and DIRT). The quiz was then to be discussed through open questioning (Pose-Pause-Pounce-Bounce) and peer assessed for the teacher. The teacher can then use this feedback to plan more effectively and close the gap. All done without the need to take a class of books home. However, what we must consider is that this form of assessment is not always appropriate. Like with anything in school, assessment should take many forms in order to appeal to different types of learners, so books do need to be collected in, checked and assessed. However, when given enough prep time during school and with good planning, it can perhaps be argued that hours spent at home going over work is avoidable. So, if a student comes home at 4.30 and relaxes for half an hour, then where is the time to go to bed at 8-9pm and still have showered, eaten dinner, relaxed, spent some quality time with family and completed two or three hours of homework? Clearly, it would be impossible, and would quickly turn a child against homework or at worst, cause untold amounts of stress for both the child and their family. This is what critics would say. However, it is not a view that I entirely subscribe to. Although all valid and important points, it must be remembered that homework can still be vital in reinforcing learning and helping students to progress in their understanding. When done well, it can be interesting, fun and valuable. Homework can involve parents, it can take the children out of the home to explore and it can develop skills such as research, analysis and independent thinking – when set properly. What I’m trying to get at here, is that the focus should be upon quality rather than quantity. I understand as a parent myself, that we like to see lots of homework, because then we know and feel reassured that there’s lots of learning happening, right? That for the fees that are being paid, we’re getting value for money. I also understand the cultural expectation, having lived in Asia for most of my adult life and worked in many schools throughout Asia, that traditionally many schools set loads of homework, so there is an important need to hit the middle ground. We have tried to do that here, and have a homework policy at our school that is outlined in the parental handbook. In our opinion it would not be healthy to set more. I sometimes think that on occasions, setting so much homework should actually cause parents to ask why? What’s happening during classwork? I know from personal experience that such small classes like we have in a new school can mean that you get through curriculum very quickly and with greater security. Some schools may set more homework because of a lack of work completed in schools with big classes. Anyhow, no matter which side of the debate you are on, it’s my experience that the differing views will never completely reconcile!